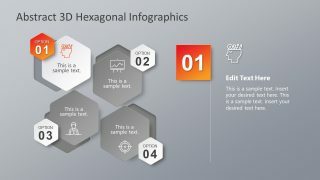 Hexagonal Infographics is a 3D vector for PowerPoint. The three-dimension, graphic slides create a visible abstract effect. 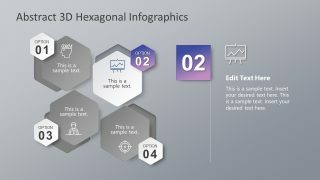 This hexagonal template basically displays a process or related concepts with 4 options. Mainly, 3D hexagonal block diagrams are ideal for business models and marketing cycles. 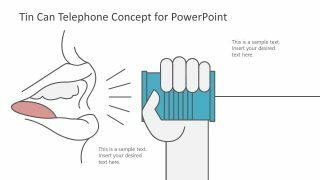 This creative five (5) slides, PowerPoint shape template has a detailed illustration. It has an impressive 3D appearance designed in various ways and lighting effects. 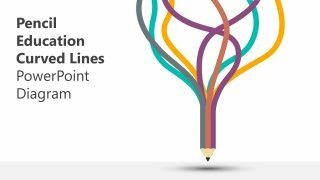 The PowerPoint shadow is created with texture and depth to make the shapes beveled at a right angle. 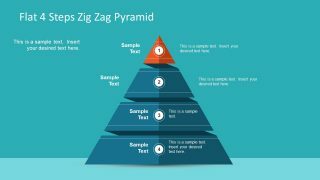 The high-resolution graphics allow the presenter to resize the shapes without altering the image pixels. The models are created from individual objects that are made into an Abstract 3D Hexagonal Infographics. 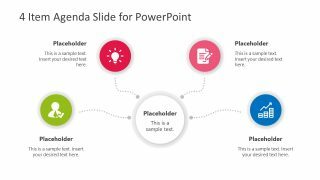 Giving the presenters the options to customize the shapes easily and rendered the PowerPoint objects with very fine detail. 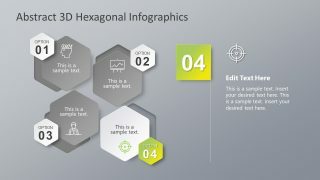 Change the color fill for example to highlight any concept or idea within the hexagonal diagrams. Get inspired to come with custom variations of this modern 3D Hexagonal schemes. Use it as a business platform presenting four options. 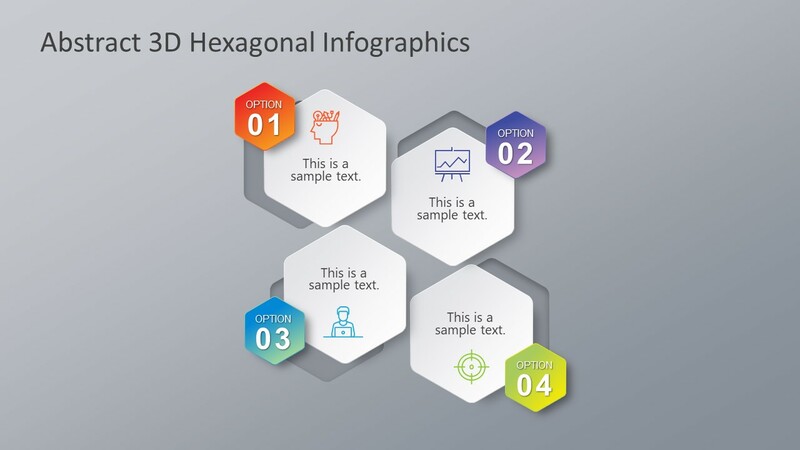 Explore and find some creative advantage using this six-sided diagram shape in PowerPoint. 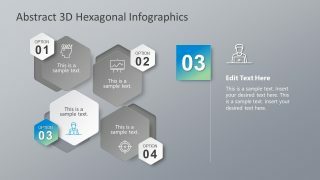 Find more professional PowerPoint Template options with unique slide designs and styles for business presentations.